It’s Wednesday, and that means it’s Student Choice for today’s opener. This week’s ideas comes from Katie, who loves dolphines. An article from Discovery claims that dolphins may be math geniuses, using the subtraction of echos from their built-in sonar to determine location and depth. There are some links here to the geometric distributions we have been studying in class. Before sharing the article, I let the video below play, which features a pod of dolphins caught on GoPro camera. There’s a “wow” moment here, as students realize how organized and detailed the pod is with their travels. More great student sharing next week! Do you believe the population of Argentina is MORE or LESS than 10 million? Estimate the population of Argentina. 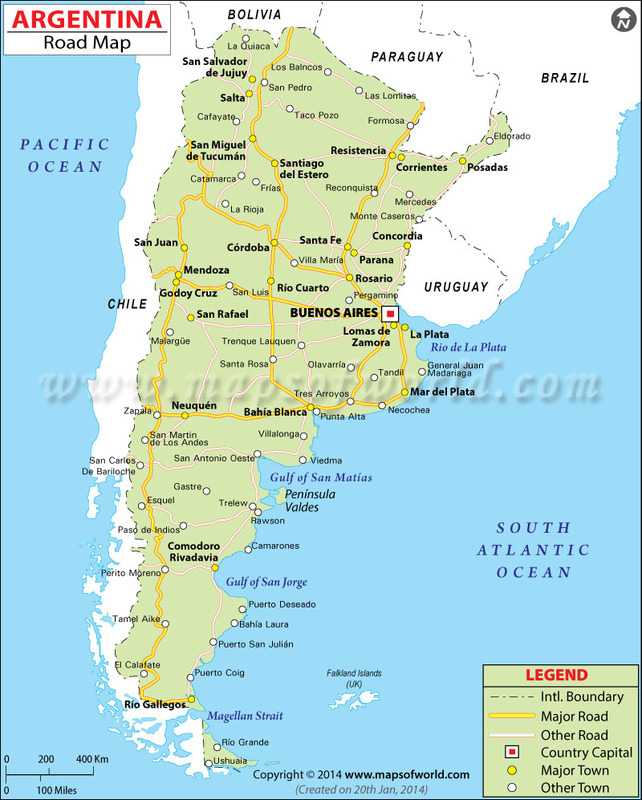 Do you believe the population of Argentina is MORE or LESS than 50 million? Both classes gave me strange looks. But with instructions to answer as best they could, the students played along and provided data. Did you note the subtle differences between the two question sets? 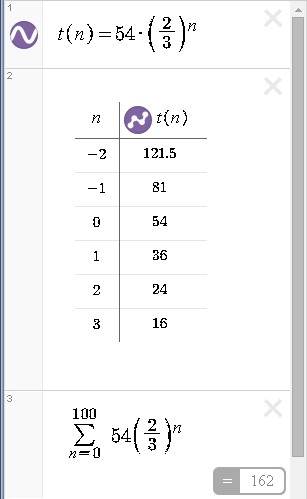 The two classes provide striking different estimates, due to the anchoring from the first question. The inspiration for this activity comes from the book A Mathematician Reads the Newspaper by John Allen Paulos, which contains many other quick nuggets to use in your classroom. And now we have a rich conversation regarding the wording of poll questions to enjoy in the next few days! Class Opener – Day 32 – What the Heck is an LCD, Anway? What is a least common denominator (LCD)? Provide directions for finding an LCD to someone who may not know how to find one. This Friday, I will be out of school for the Association of Math Teachers of New Jersey conference, where I am looking forward to participating in an Ignite session, hosted by my friends from the Drexel Math Forum. In these talks, a speaker has 5 minutes and 20 slides to share their idea – mine is on the importance of language skills in math classrooms. To be fair, I gave this prompt out of context, as fractions aren’t on our radar now. But it’s fascinating to see what built-in ideas students come to the high school with regarding a task they have now done for many years. Class Opener – Day 31 – Test Day! My fear is that if I dive too deep into these problems now, I’ll worry students who are studying for the test. So instead I provide about 60 seconds to discuss what we see, and will let the problem marinate. If students finish the test early, they’ll have something to think about and tackle. Hopefully we will have a chance to come back to these problems next week, but sometimes I feel bad when I start a new problem and don’t find the time to re-visit it. For now, I think I’ll leave the problems on the board, and see if anyone volunteers information. If you are playing along at home, here is information about the two problems above. The first is the harmonic series, which diverges (approaches infinity), while the second (the sum of the reciprocals of the triangular numbers) surprisingly approaches 2. Upon reflection, there were some natural places to flip instruction in this chapter. 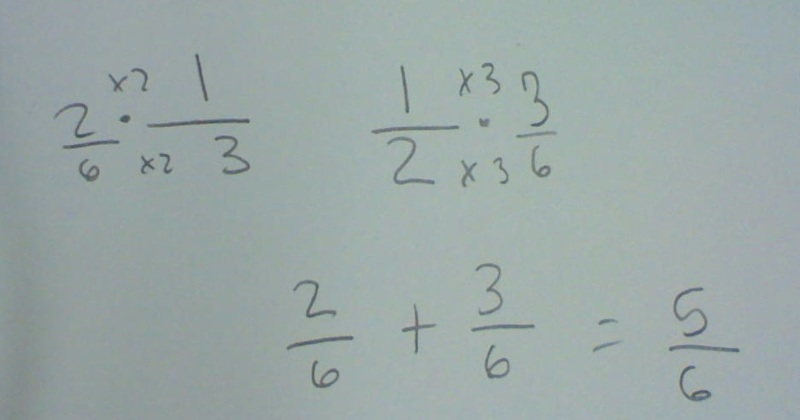 In the video below, students took notes on the sum of an arithmetic series. As a number of students in my last period class leave for sports, this was an effective way to keep everyone on the same page. Enjoy! Usually my openers here on the blog are those I share with my freshman classes, but today’s post features my AP Statistics class. 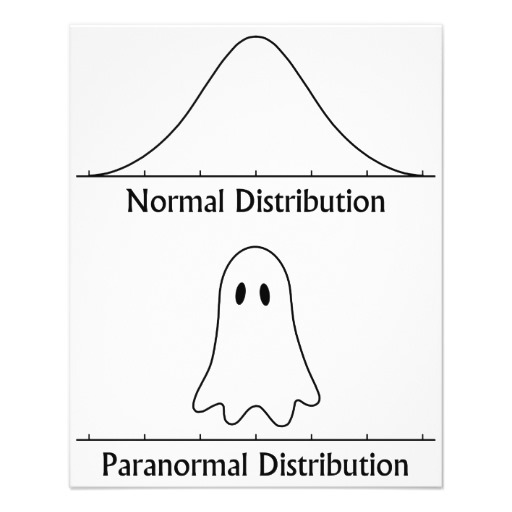 They are preparing for their test on normal distributions, and it’s no time to be spooked! Today’s class started with the famous stats cartoon shown here, and an entrance ticket – one part of a past AP problem dealing with normal distributions. Schools in a certain state receive funding based on the number of students who attend the school. To determine the number of students who attend a school, one school day is selected at random and the number of students in attendance that day is counted and used for funding purposes. The daily number of absences at High School A in the state is approximately normally distributed with mean of 120 students and standard deviation of 10.5 students. (a) If more than 140 students are absent on the day the attendance count is taken for funding purposes, the school will lose some of its state funding in the subsequent year. Approximately what is the probability that High School A will lose some state funding? The full exam (and all free-response questions) are available on the AP Statistics area on the College Board website, who own the copyright on all AP problems. Despite the length of text in this problem, part a here is a simple normal distribution probability, one which any AP student should be able to tackle easily. The last 2 bullets could be met in a number of ways – by diagram, by symbols. It’s a good lessson to students that even basic stats problems require justification. We find the probability of events given a nomal distribution. We combine random variables, which may have normal distributions. We discuss a normal approximation for a binomial setting. The Central Limit Theorem allows us to assume a sampling distribution of sample means will be approximately normal if the sample size is sufficiently large. We assess samples for signs of normality in their parent populations. It’s this last bullet which if often the trickiest for students, yet the most critical when it comes to structure of hypothesis testing. Exactly what are “signs” of normaility? How can I tell if they have been met? And what is “it” that is approximately normal anyway? These are questions which come up early in Stats as we begin to look at the distribution of samples. Based on the sample, do you feel there is evidence that the population from which it came could be approximately normal? Groups then discuss each of the 8 graphs, and a quick show of hands is used to vote “yes” (pro-population-normailty) or no for each of the graphs. Up to now, students have had exposure with center, shape and spread ideas, the relationship betwee mean and median in a symmetric distribution, and the 68-95 rule. 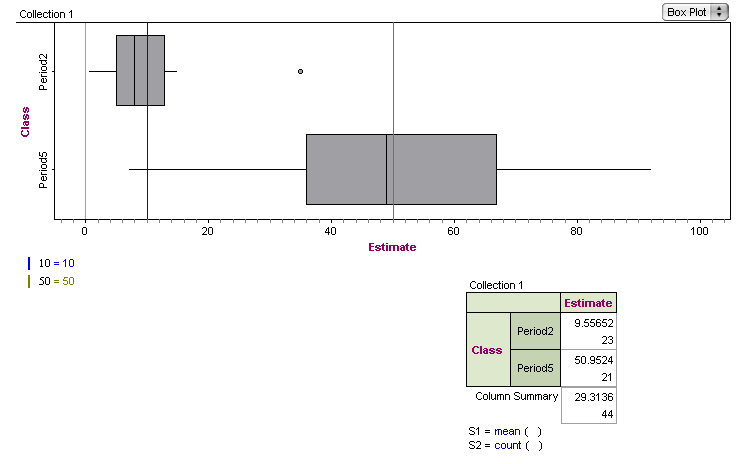 Conversation often centers on perceived skewness and outliers, and oberservations surrounding the centering of the median in the “box” part of the boxplot. In the second half of this activity, I share 6 data sets with the class, which I have pulled from various sources. The data is linked from my class TI84 or Nspire software and sent to students. The task at hand is to assess each data set, and conjecture if the parent population can be assumed to have an approximately normal distribution. This Excel file contains the data sets, which you can format for your use. Context matters! 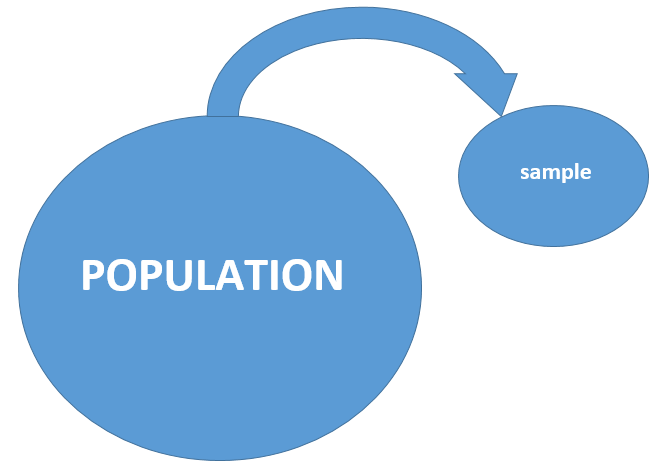 If we consider the source of a data set, this may provide important information about its population distribution. Often, measurements from things in nature (heights, weights, lengths, IQ’s) have an approximately normal distribution. 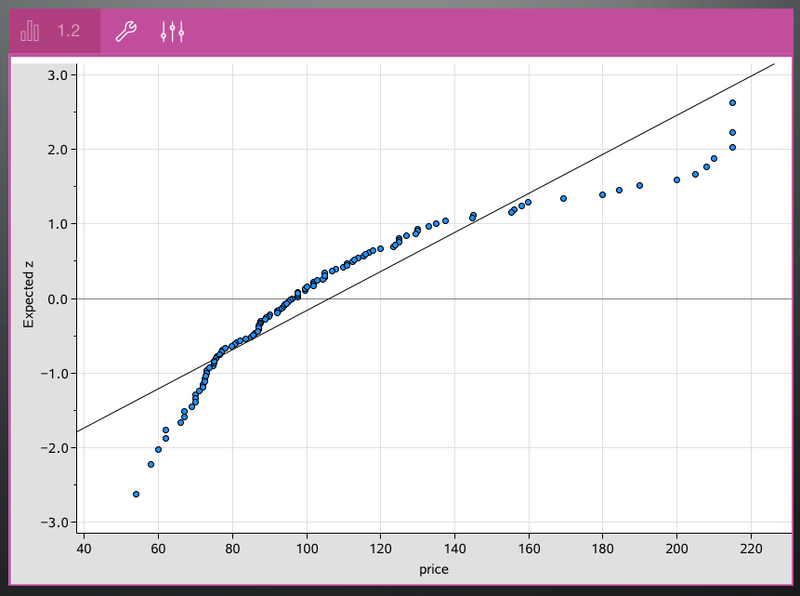 Data involving salaries and prices, meanwhile, are often skewed. Multiple representations are helpful. Above, the data set “IQ” has a nice, symmetric distribution if you look at its boxplot. But a dotplot reveals an important feature not evident in the boxplot – the data consists of 2 distinct groupings, with a large gap in the center. It’s not the sample which we are trying to prove normal, it’s the underlying population. Later, during hypothesis testing, it is common find students who caim “the sample is normal” based on a boxplot (or those who simply claim, “it’s normal”). We need to help students move away from meaningless statements like this, and towards a communicated linkage between the sample and its parent population. As the lesson progresses, the class begins to see that assessing normality is tricky business. We’ll be making a lot of assumptions about the behavior of populations in stats class through the year. Later, the robustness of procedures will provide a safety net if a population isn’t quite normal. And maybe the most important idea: it’s not so important that we clearly identify and justify populations which are normal; it’s more important that we identify populations which are clearly NOT normal. WHAT ABOUT NORMAL PROBABILITY PLOTS? After all 6 data sets have been evaluated and discussed, I explain the idea and structure of a normal probability plot, which becomes #4 in our list of “what to look for”. The Npsire does a nice job making them, with the z-score axis clearly labeled. I have found that the more years I teach AP Stats, the less I stress this graph. It’s easily forgotten under the avalanche of information in the course, and the procedures described above are sufficient for the job. Unless you spend time developing the structure of this graph – why transforming percentiles to z-scores in a normal distribution yields a linear function – it becomes another disconnected idea to memorize. I show it – but then we cast it aside. 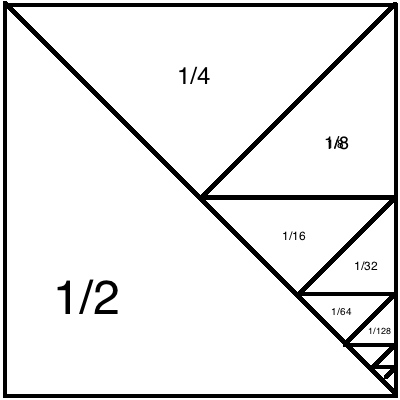 There are an infinite number of triangles down the right side. All those triangles on the right add up to the half-triangle on the left. Both are great starts for what I hope my students will learn today. A video I made in my driveway continued the ideas of geometric series and their infinite terms. A few students wanted to argue that the sequence in the video was arithmetic, but some meaningful debate yielded agreement that geometric made more sense. Groups then worked through a similar problem involving a Superball being dropped, leading to terms and total distance traveled. Many groups employed a “brute force” method to find their answers. Using the Desmos calculator (many students chose to use the iPhone app), we found value in developing the equation and using tables and summation symbols to find solutions. This was my first time usign Desmos with this particular lesson, and it was an awesome addition, which added value to the need for writing a clear function to define your situation.